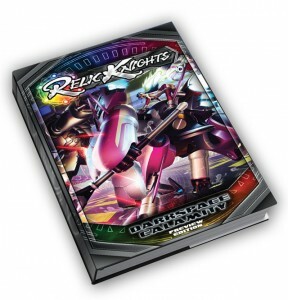 Relic Knights is a new action minis game made by Soda Pop Miniatures. They've just started up a Kickstarter to fund the project... and they're already at 200% funded. This is going to be quite an exciting ride, I'm sure. Take control of one of 6 factions with wonderfully detailed miniatures, as you use a unique card draw mechanic to power your special abilities and defenses!